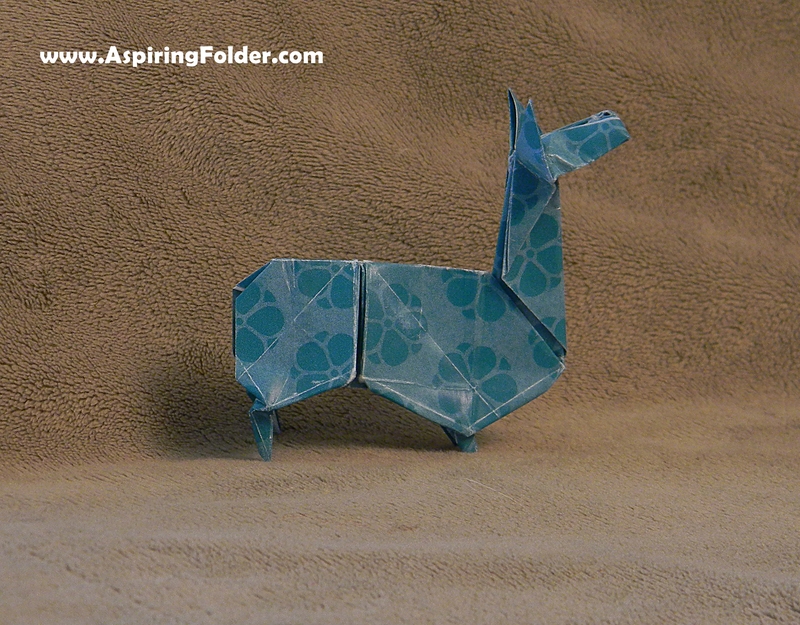 The first time that I made this origami llama, I just about shred the paper. I got frustrated, came back to it later, then figured it out and then gave it away. The llama pictured is the second one that I made. It was much simpler to make the second time. Find the diagram for this model in the book Origami Omnibus . To be honest, I don’t know what type of origami bird this is. Anyhow, it’s cute. You can find the diagram for this model in the book Origami Omnibus . 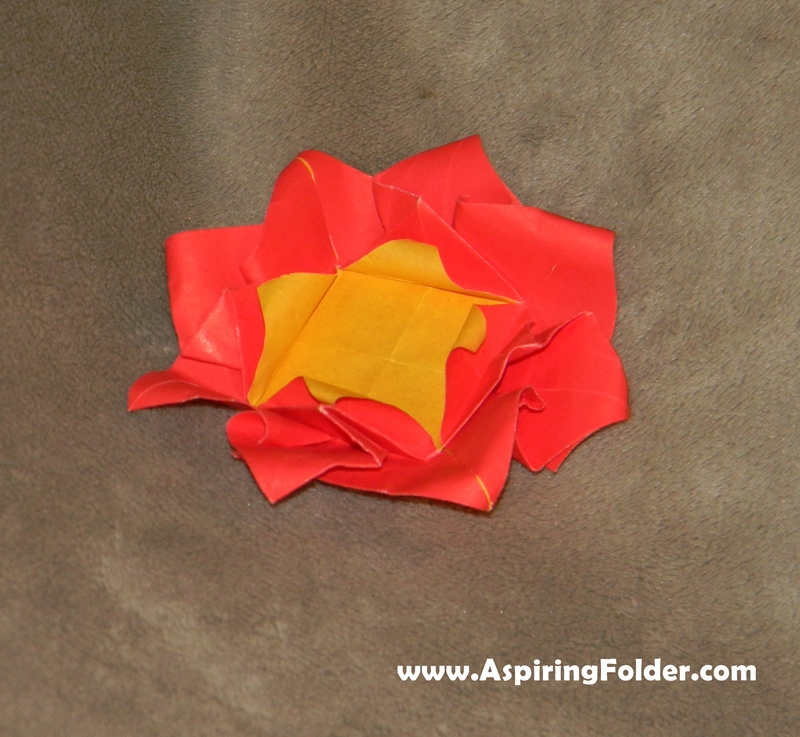 Origami water lilies are one of my favorite origami flowers to make. This one comes from the book Origami Omnibus . 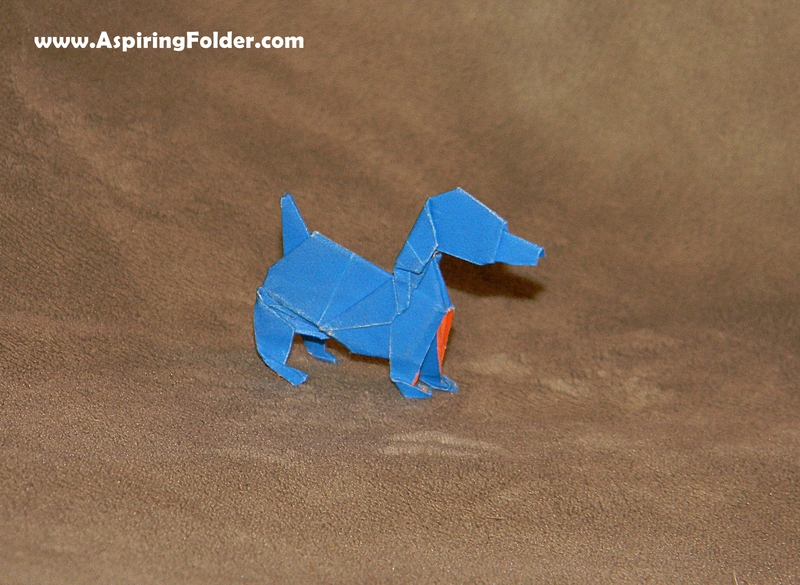 This cute dog comes from the book Origami Omnibus . I made the first one with a more “normal” dog color. The second one is made from double-sided origami paper that’s blue and orange. 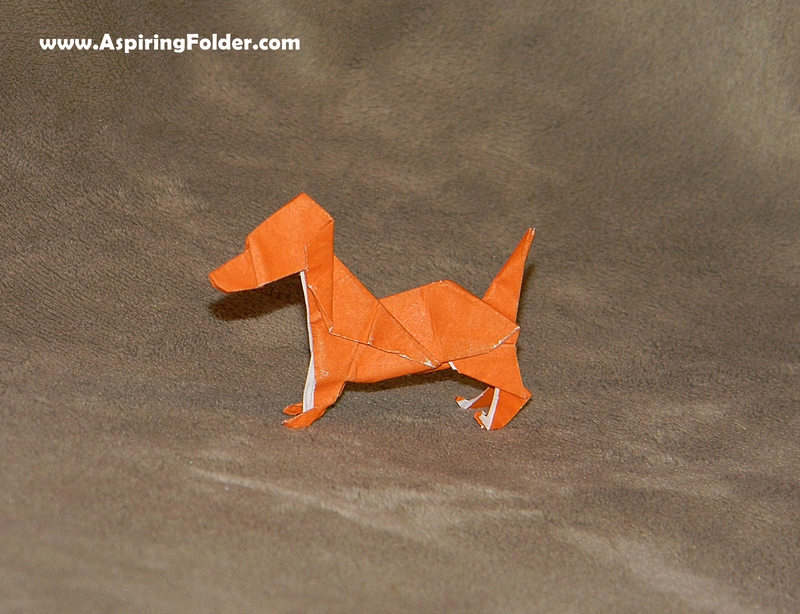 The model looks like an origami dachshund or origami miniature pincher. 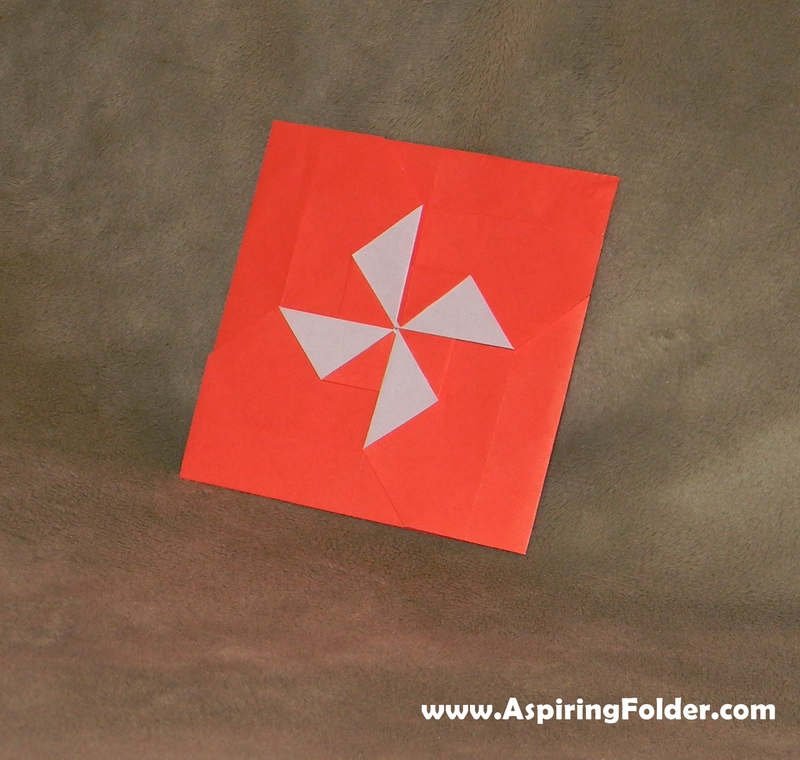 I’m not sure of the practical uses for this origami pinwheel model. I guess you could use it for a greeting card or gift tag. 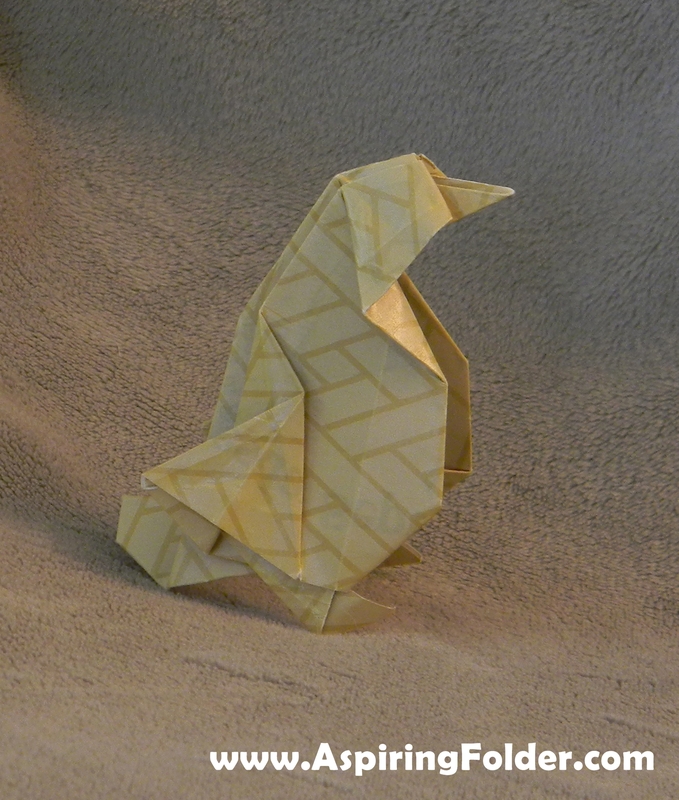 You can learn to make this in the book Origami Omnibus . I love origami butterflies! This one comes from Won Park’s book Dollar Origami: 10 Origami Projects Including the Amazing Koi Fish . As you can see, the fake dollar bills that come with the book are printed on paper that’s a bit thick, so it ripped. Still, it’s a nice model. I’ve never eaten frog legs and don’t plan to. 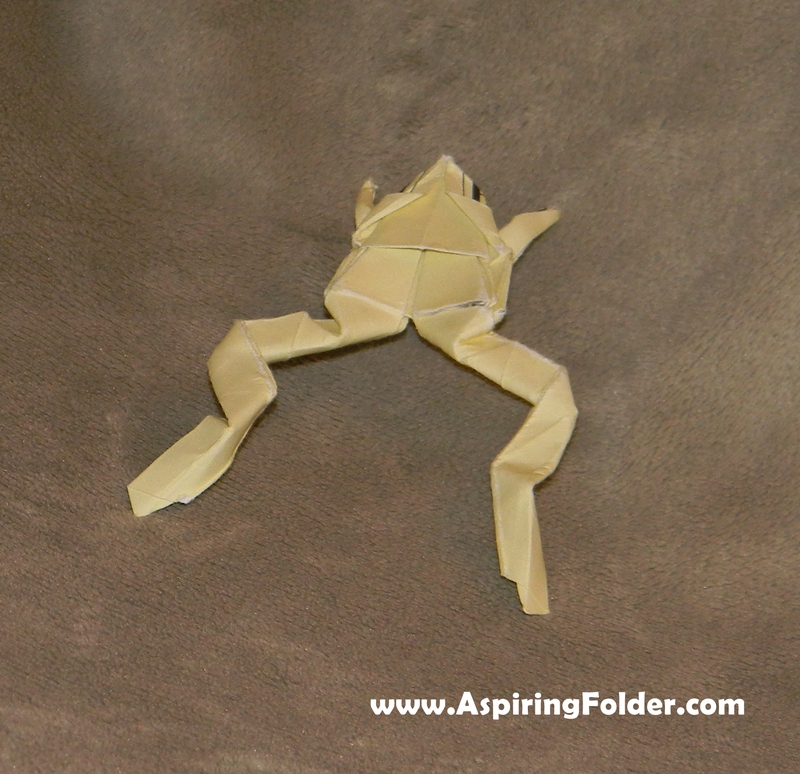 However, this origami frog is how I imagine they look. 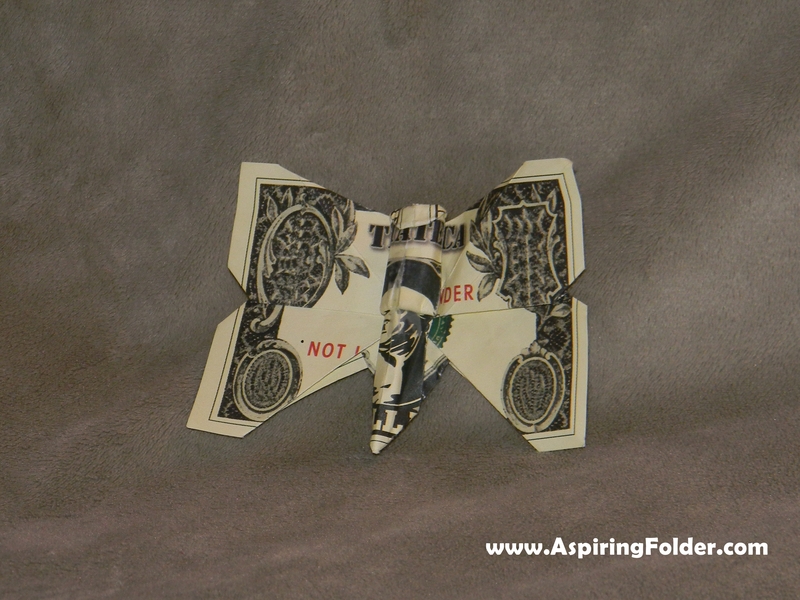 You can learn to fold this dollar origami model in the book Dollar Origami: 10 Origami Projects Including the Amazing Koi Fish .